Most games don’t have guidelines for streaming. If they do, it’s usually explicit permission for a streamer to monetize videos. But this is Square Enix we’re talking about. 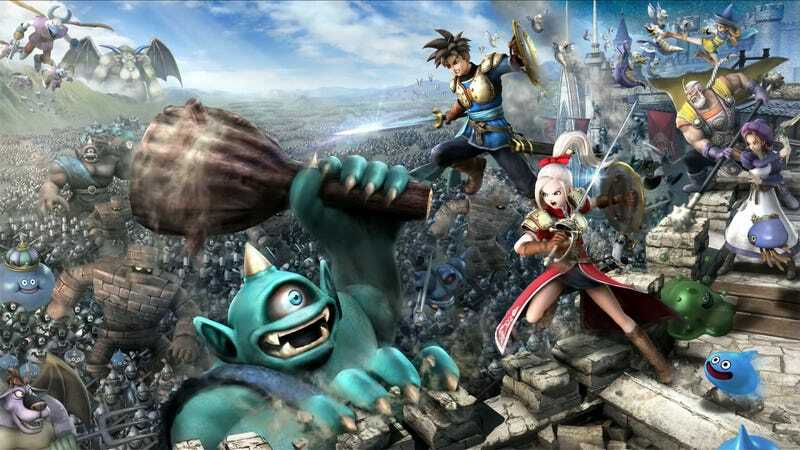 With Dragon Quest Heroes on PS4, it’s mostly about what you can’t do. For example, you can’t stream on Twitch with the music on. Seriously! The game won’t block you from streaming over Twitch, but it means you could run into copyright issues, due to the soundtrack used in the game. “If you stream the game with the music on via Twitch you could indeed run into a copyright issue,” the company spokesperson said. There are people streaming Dragon Quest Heroes on Twitch right now, of course. This is a hilarious contrast, by the way, to Square Enix publicly embracing a Deus Ex fan mod only a day ago. Talk about mixed messaging. I decided to ask Square Enix about this after seeing the game’s absurd streaming requirements being roundly mocked on social media yesterday. The guidelines start innocent enough, with Square Enix explaining how they (and others) own the rights to the images, characters, etc. Standard stuff. Under line 2b, Square Enix specifically mentions the Japanese Society for Rights of Authors, Composers, aka JASRAC. JASRAC made headlines in the early days of YouTube. At one point, JASRAC demanded the service take down more than 30,000 videos. JASRAC represents a bunch of really powerful companies—Pony Canyon, Sony Music Entertainment Japan, Universal Japan, Avex Japan, Warner Japan, etc.—and their request made waves. They [JASRAC] wanted YouTube to automatically screen all uploads to see whether they contain copyrighted content (something YouTube is already working on), post a Japanese language warning about respecting copyright and delete any users who had posted copyrighted clips. JASRAC is the same organization that managed to get 30,000 YouTube clips deleted in October - one of the biggest purges so far. The deletion included clips from Sony Japan, Warner Japan and Universal Japan. According to reports out today, founders Chad Hurley and Steve Chen replied to the letter and agreed to post a copyright notice on YouTube in Japanese as well as English - this will only be shown to Japanese users. They also said they’d consider flying out to Japan to discuss the issue (translation: please don’t sue us!). However, some sources suggest that JASRAC just sent a second letter to complain about more copyrighted clips, so the issue isn’t over yet. My gut tells me the restrictions for Dragon Quest Heroes have to do with JASRAC; Dragon Quest series composer Koichi Sugiyama is a council member for JASRAC! I’ve asked Square Enix for more details. It’s not often a company requires video makers to include specific copyrights. Not only will a “future game update” automatically insert two sets of copyright into your YouTube description, you’re being asked to do that manually—or else! What’s scary about the both weirdly specific and vague guidelines is how Square Enix reserves the right to “delete any videos or streams in its sole discretion.” If Square Enix wants it gone, it’ll disappear, even if you’ve followed the rules. Heck, according to the last bit, in the event Square Enix doesn’t want to take down your video, they’re not totally sure this will protect you from others! This is frustrating. If you want to limit how people monetize footage from your game, that’s a conversation, but these confusing barriers for sharing a game only make a fan’s life harder and the companies involved seem out of touch.